Vintage ca. 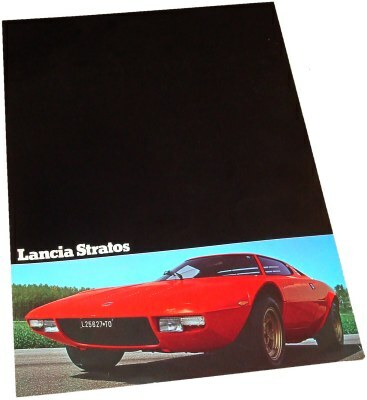 1975 Lancia Stratos Sales Brochure, English. 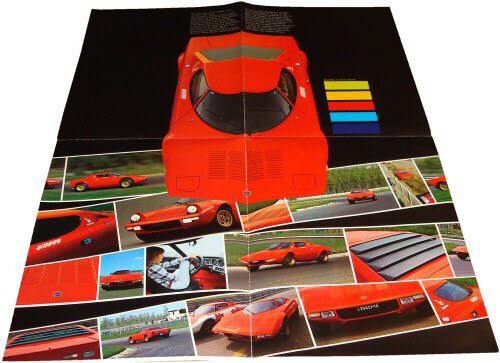 Vintage original sales brochure for the Ferrari Dino-engined Lancia Stratos in English language. It is an 8-page (including covers) fold-out format which measures some 23 x 34 cm or 9 x 13.4 inches. Fantastic contemporary photography including an early Alitalia sponsored rally car. Print # 88795730, issued in ca. 1975, printed by Tipografia Torinese S.p.A., Italy. Mint condition for its age!